The TREE House Children’s Museum has been partnered with the Food Bank of Central Louisiana’s Good Food Project for about 4 years now. Through the Good Food Project, The TREE House has been able to plant their very own garden for children to work in. 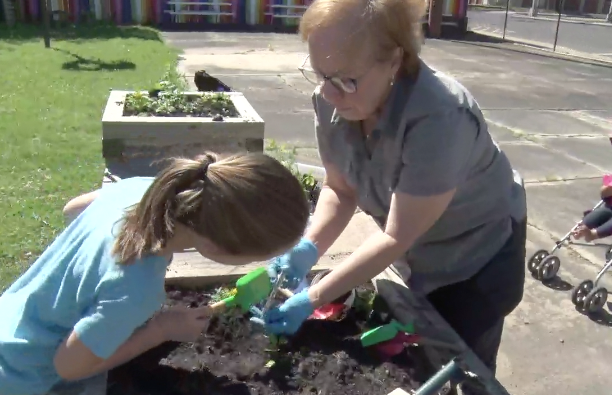 The Good Food Project helps schools, organizations, churches, neighborhoods, businesses and individuals create and maintain their own gardens. Representatives from the project joined the TREE House today as they worked in their garden and taught children about the benefits of growing their own food, along with how to access healthier food options. The Good Food Project launched in 2011 and currently has more than 75 community gardens throughout the Food Bank’s 11 parish service region.